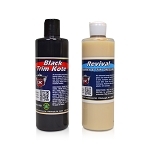 Detail King’s black trim restorer will make plastic door handles, mirrors, bumper covers, wheel flairs, plastic ground effects, bed liners and just about all other types of plastic trim look like new again. 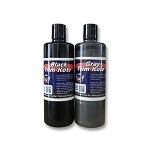 Our trim restorer are available in black and gray and are formulated to be used as a car plastic restorer product. We also offer a business opportunity so you can offer plastic restorer services to your customers if you have an auto reconditioning business. 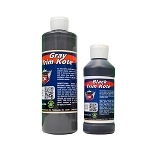 This kit comes with two 16-ounce bottles of Trim Kote (1 black and 1 gray). 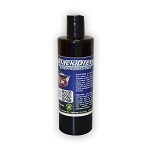 Each bottle is enough to restore up to 400 door handles, and both are popular colors. You will also receive a storage cart that you can use as a stool to sit on while restoring the door handles. However, its main purpose is to hold the included supplies. 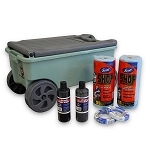 The storage cart can be easily wheeled around a used car lot or detailing bay. 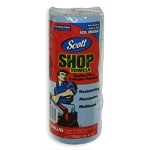 Also, included are two rolls of shop towels, two rolls of painter’s safe release tape, 100 nitrile gloves, complete instructions, sales and marketing ideas and on-going support. 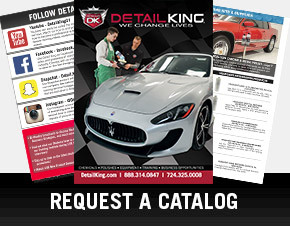 Visit our Car Trim Restorer FAQ page for helpful information about this lucrative detailing opportunity. Always inspect the plastic trim on the vehicle you are about to work on and if you think that the Trim Kote will make a big difference, propose your restoration service to your customer. For retail customers you should be able to charge $5 per door handle, $10 per mirror, $20 to $30 per bumper cover, $15 to $20 per fender flair, $50 for bed liners, $5 for each mud flap, $20 for cowl vents, $50 for soft tops, and $8 each for wiper arms. If multiple components on a vehicle need restored you may want offer a package price of maybe 10 to 15 percent. 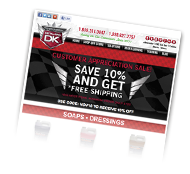 A real moneymaker is to approach car dealerships with your plastic trim restorer service. It’s a trade off because dealerships will probably insist on wholesale pricing, but they also have many vehicles for you to restore. Negotiate your best deal with car dealers, and never give away your service once you obtain the account. Many used car lots display vehicles that have already been detailed, but the plastic trim was probably just touched up with rubber or plastic dressing, which will eventually evaporate and the faded plastic will come back quickly. 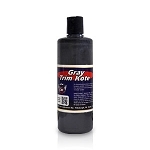 The only way we know to make plastic trim look and stay new again is by restoring it with Trim Kote. When done the plastic will look better than new! Here’s a good way to approach used car dealers: Walk the used car lot and find the worst door handles, then offer a free restoration. When you’re done, show the used car manager your work. He or she will be impressed and you should get a new customer with only a few minutes of work. If you obtain this account, the manager will probably want you to stop by the dealership and walk the lot at least once a week to check out the new arrivals and restore the plastic trim on those vehicles. 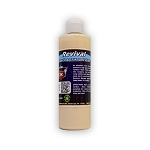 Be sure you mention that you can restore just about any black plastic trim component. 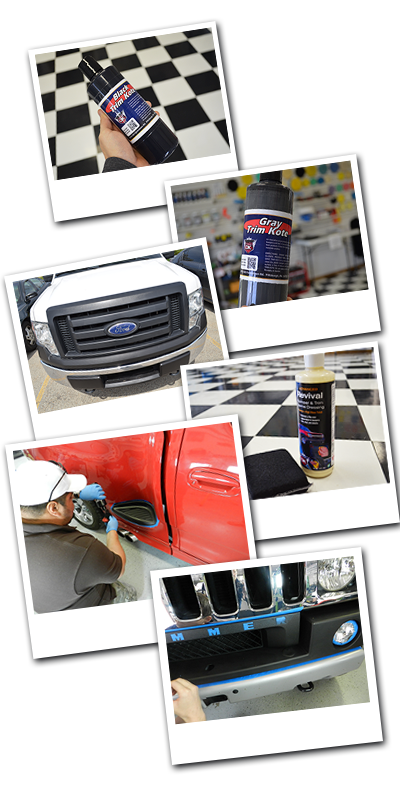 Use Trim Black Paint with confidence to refinish exterior auto trim and bumpers to factory OEM specifications. Trim Black Paint is self-etching and designed to be applied and re-coated with a minimum of surface preparation. 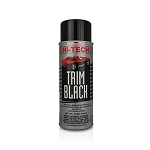 Trim Black Paint is comparable to Sem Trim Black but is available at a lower cost.